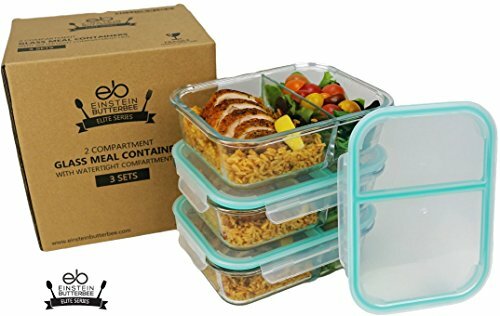 Einstein Butterbee’s high-quality 3-pack glass food storage set will make serving fresh and healthy food to your family a cinch! Featuring our exclusive watertight compartment design, our good glassware makes sure your food and flavors stay separate until you’re ready to eat! Don’t let other inferior food containers ruin your meal. 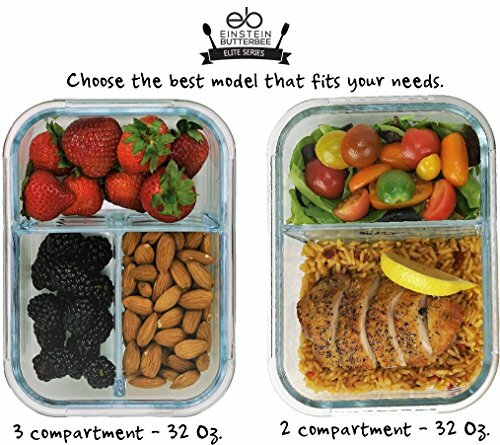 Einstein Butterbee’s premium quality glass food storage containers are microwave, oven, freezer, and dishwasher safe. 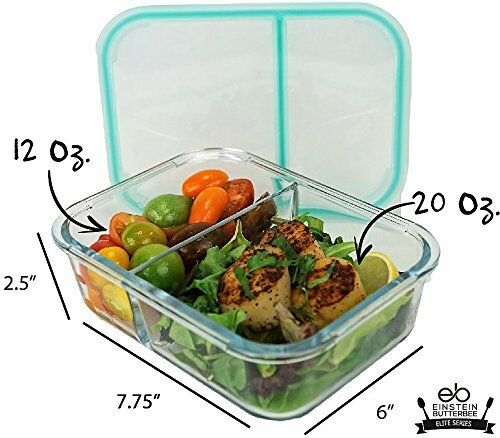 With our 3-pack container set features crystal clear borosilicate glass allows you to store leftovers, snacks, pre-made meals, and even soups and liquids safely in your refrigerator or freezer without the risk of spills or leaks. 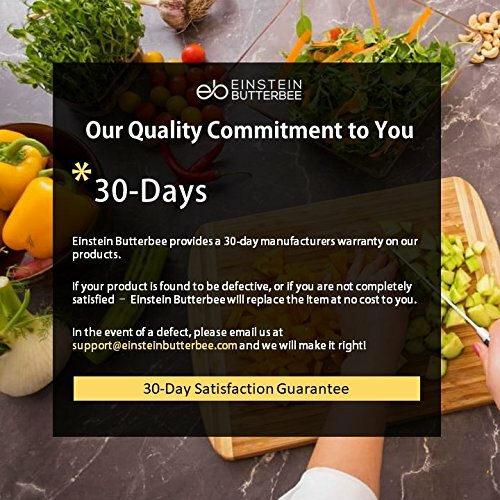 Our 3-Pack Set Includes: • 32 oz x 3 glass containers • 3 x watertight lids with silicone seal • Free Keto cookbook sample emailed to you Our Einstein Butterbee Elite Features: •100% silicone watertight compartment seal to guarantee no leaks or spills. 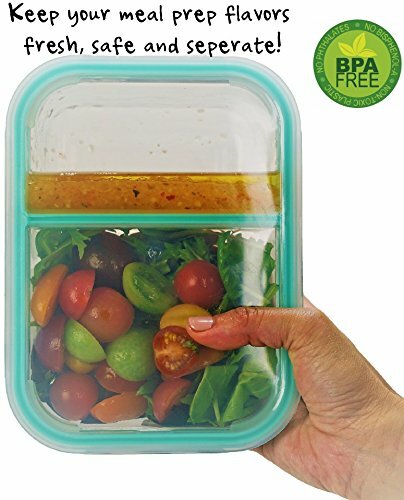 • Borosilicate (Pyrex) glass up to 450 degrees Fahrenheit • Highest quality reusable glass containers will last for years to come • Oven, microwave, freezer and dishwasher safe (not the lids)EXCLUSIVE WATERTIGHT COMPARTMENT DESIGN: No more soggy salads or mixing flavors before you’re ready with our exclusive watertight compartment design. 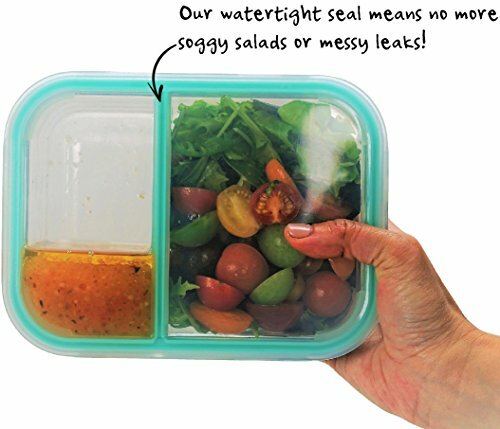 Our lids are made from the highest quality silicone seals that keeps your food fresher, longer. 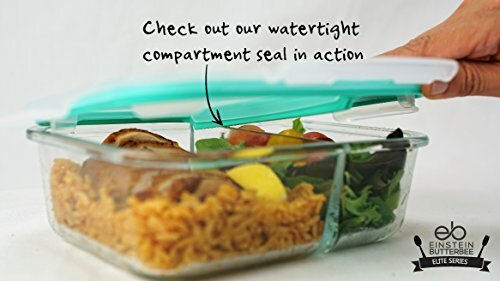 Don’t let other inferior food containers ruin your meal. 3-PACK 32OZ SET: Perfect for portion control and food prep for home, work and school meals on the go. 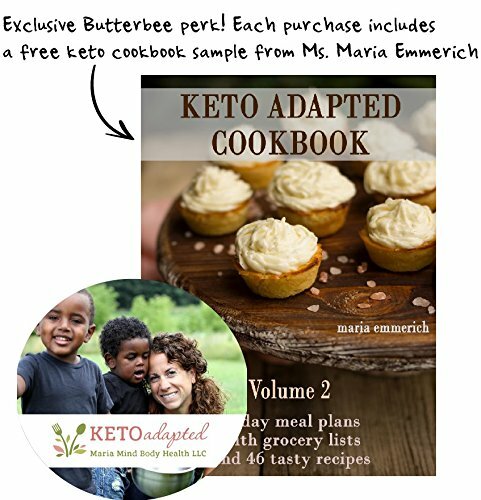 Save money while enjoying delicious and healthy meals. Made from the highest grade borosilicate (Pyrex) glass resulting in crystal clear and superior stain resistance. 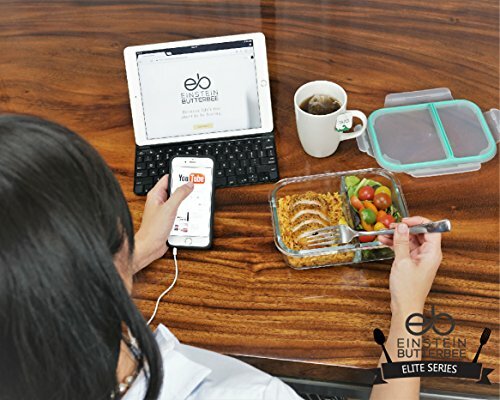 YOUR HEALTH COMES FIRST: Plastic meal prep containers may contain BPA – our glass and lids are 100% BPA free. Our product is FDA and LFGP approved. Keep your family safe from toxic and unhealthy chemicals. OVEN, MICROWAVE, FREEZER and DISHWASHER SAFE GLASS (Not the lids): Our glass containers will not warp up to 450 degrees F in the oven, microwaveable, freezer safe, and dishwasher safe. MONEY BACK GUARANTEE: We standby our products! If you’re not happy with our products, contact us and we’ll make it right! 2016 Great-Deals-Savings.com. All rights reserved.